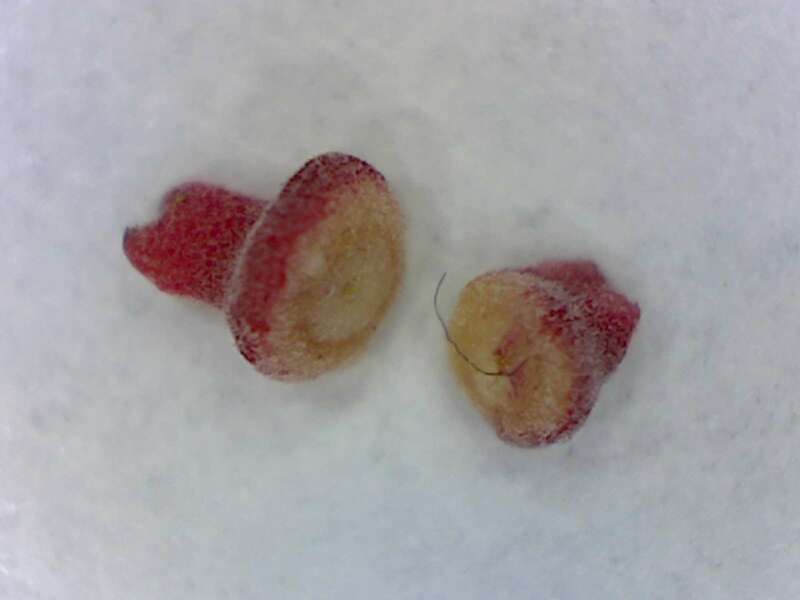 The ruler markings in the following picture are millimeters. These are small galls. 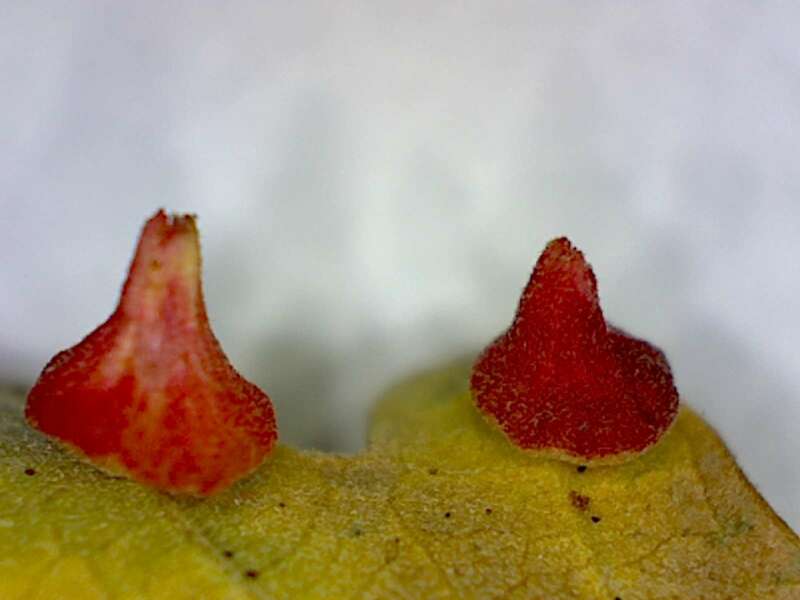 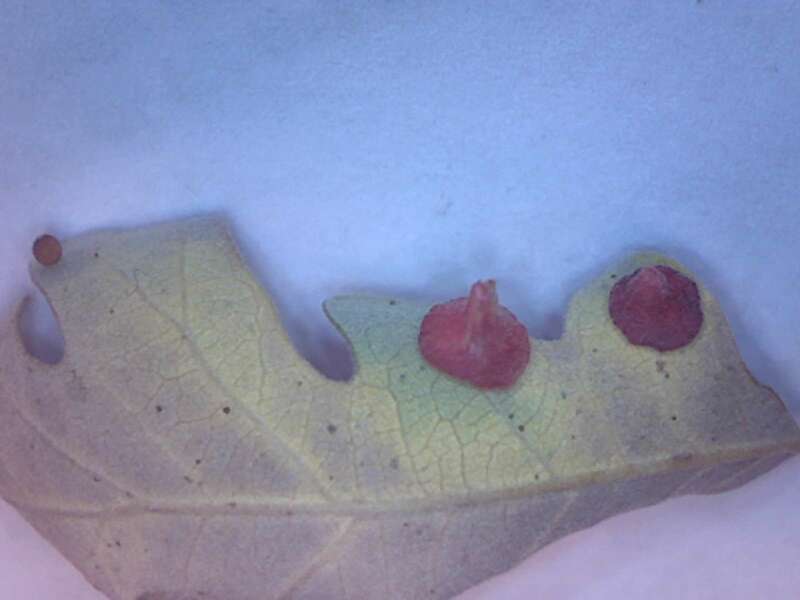 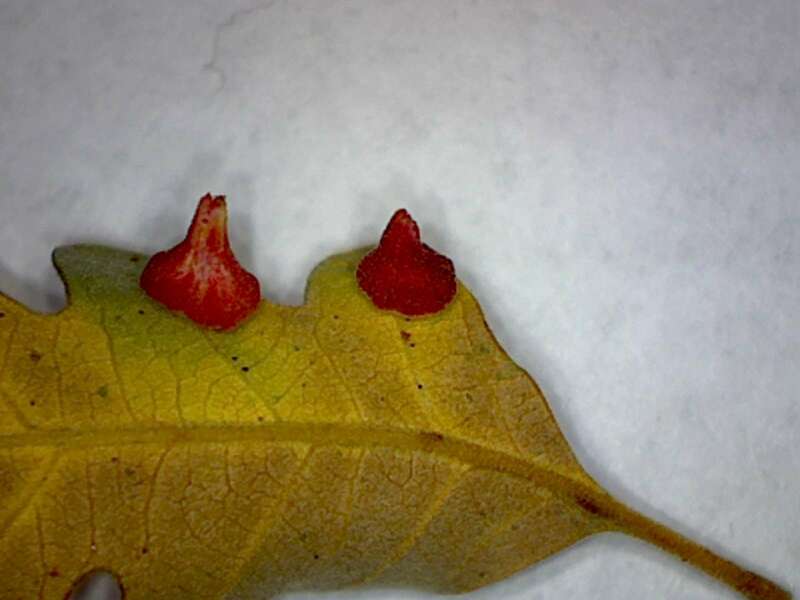 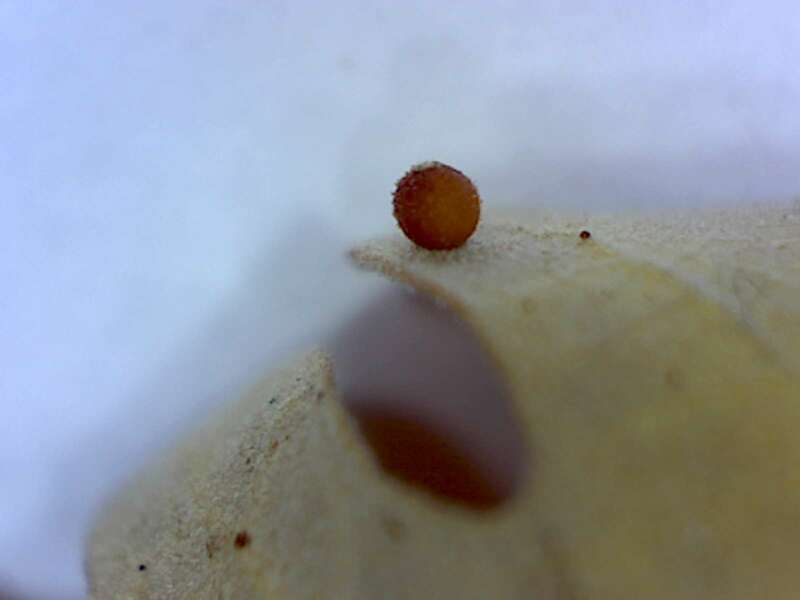 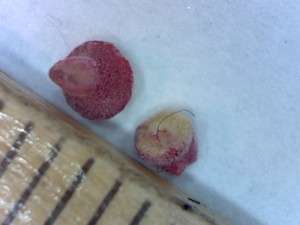 This Valley Oak leaf has two species of leaf galls: The two red, dunce-cap galls, on the right, and the small round gal on the left. DunceCap leaf galls from Valley Oak, Columbia CA. August 21, 2014.